Grab your pirate hat, some rum and a mate or two, and hobble on over to join in on this fun event. Get in touch with your inner pirate! 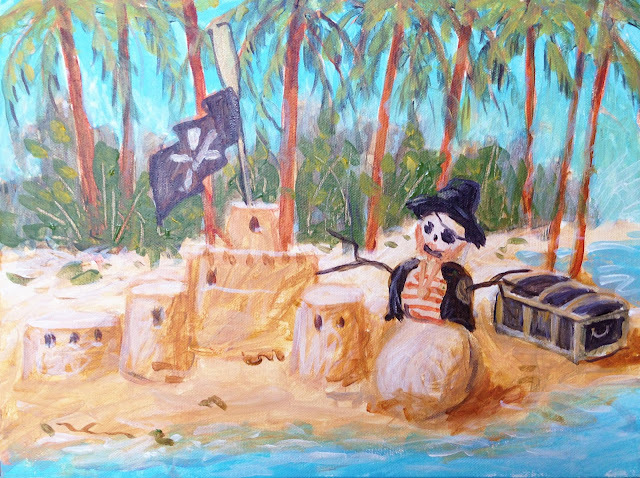 A great painting that you can create for a kid's room, or for your own pirate den! June 10th, from 6 to 9 . Here is the info for this fun class!